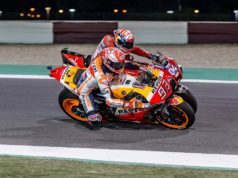 After winning his seventh World Championship, Marc Marquez reviews the keys that allowed him to win the MotoGP crown for the third consecutive year. 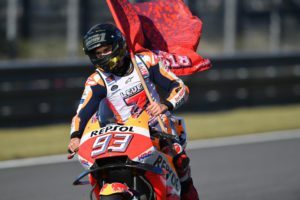 Marc Marquez made history once again at the Japanese Grand Prix, winning his fifth MotoGP title at the first available opportunity. His targets for the season are now to help Honda to the constructors’ title and Repsol Honda Team to the team honours. 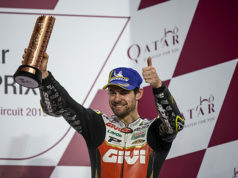 Speaking after the race, the newly proclaimed MotoGP World Champion 2018 tells us what have been the keys to him retaining the title and how important his team is in his day-to-day life. The Japanese GP was similar to the race at Aragón: A passing move just before the end without a chance for a reaction. Was that moment when you won this race, forcing Dovizioso to crash in Japan? What went through your head when you came out of Turn 10? Could you keep concentration? Did you lose focus when they told you that Dovizioso was out of the race? Has this been your most complete season? Is there room for improvement in your riding? You have already won seven titles. 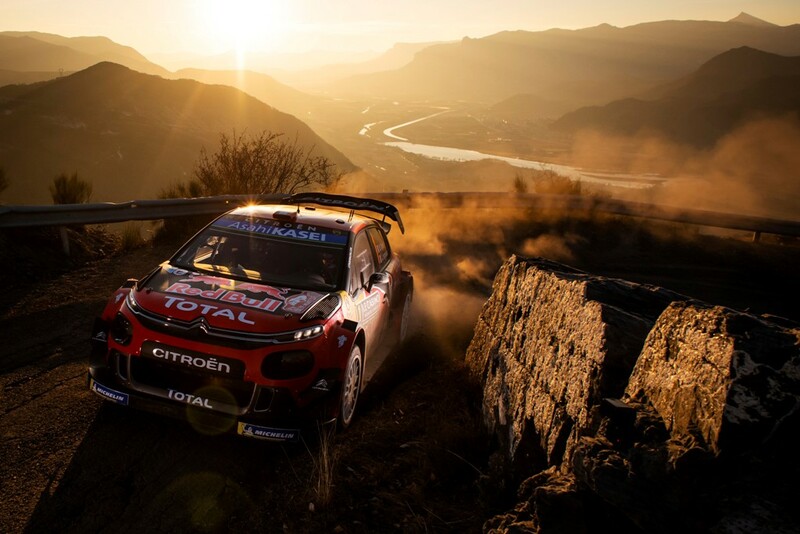 What moment do you expect most eagerly? Twin Ring Motegi, besides being Honda’s home track, has seen you win three of your five MotoGP titles. You have received congratulations from all over the world: From great athletes, the Spanish president, the Royal House… What is the most special, message? 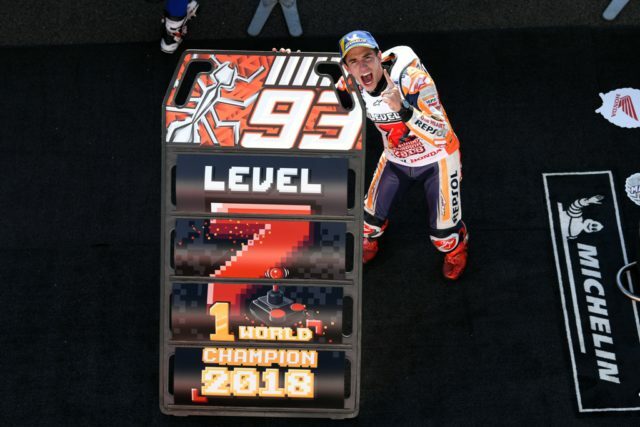 Mick Doohan, who you equalled with five titles in the premier class, says he is proud to share that achievement with you and that your style of riding is unrivalled. 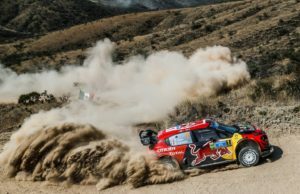 How are you going to face the three remaining races, now that you have won the title? Travelling so much, you see more of your team than your family. Tell me what they are like as characters. “In my team, everyone has their good and bad points. The best thing, which makes me feel proud of them. is that they spread joy around. That’s the most important thing. After all, this is a job and we are human; We can all have a bad day for many reasons, be it personal or professional, but between us we always end up smiling. Thanks to them, the job is much better and more pleasant. Who is the first person you call when you have a problem? What brings a smile to your face when you are having a bad day? Between so many races, events, and commitments have you ever been a tourist? New York, London, Rome…? Where would you like to go if you had time? And finally… having a fear of the sea, would you swim alone in the middle of the Mediterranean in exchange for another title?